Advance Spoiler-Free Review: Uncanny X-Men #1 – AiPT! 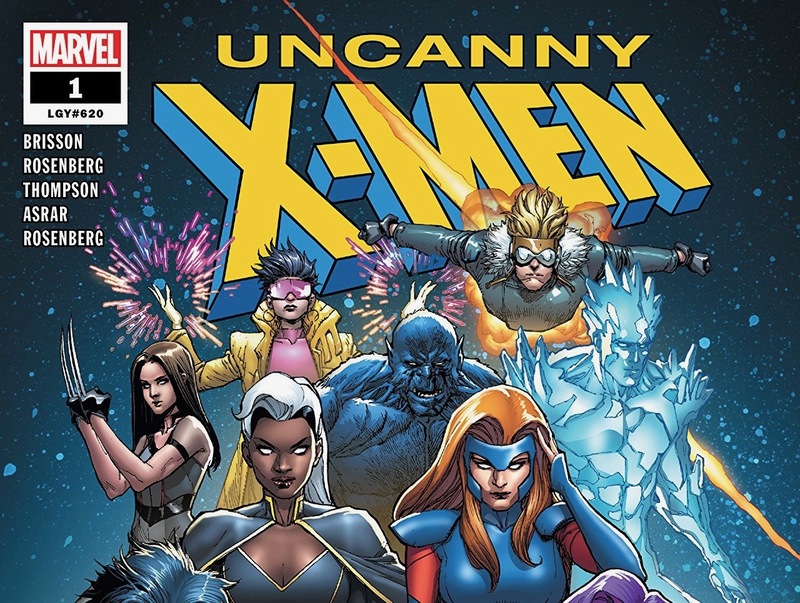 Uncanny X-Men makes its long-awaited return with the creative team it deserves. Uncanny X-Men. It’s the series that launched Marvel’s multi-billion dollar mutant media empire. With that dynamic name, presented in its iconic, 3-D logo, comes an astonishing legacy–and for its creative teams, tremendous pressure to not disappoint readers old and new. So, what can you expect from the first outing of the three-writer creative team of Ed Brisson, Matthew Rosenberg and Kelly Thompson? Honestly, there’s so much going on in this oversized comic that it’ll take some time for me to cover it all, but what I can share right off the bat is the word that popped into my head after finishing this 72-page tome: Confidence. That’s not to say you need to be an X-Men eXpert to read Uncanny X-Men #1, but if you know your mutant history–especially recent storylines–you’ll be rewarded with a far more enjoyable reading experience. From an appearance by ’90s villains the Mutant Liberation Front to Psylocke’s recent return to her original, British body, those who have remained loyal to the franchise won’t miss a beat. At the same time, there’s nothing in this first issue that requires you to have read a Hunt for Wolverine mini-series or even Brisson’s Extermination. We open with a possible vision of the future: A frantic Multiple Man rushes to Jean Grey in search of Kitty Pryde, before he’s stabbed through the head by X-23 (there’s something you never saw in Stan Lee and Jack Kirby’s X-Men #1). Cut to a gorgeous splash page courtesy of artist Mahmud Asrar (believe me, we’ll get to his art) featuring the X-Men at war with an army of Multiple Men. But a slightly unhinged Jamie Madrox is just one of several antagonists different squads of X-Men face in part one of “X-Men Disassembled.” There’s another element to this story that no promotional images or interviews revealed (to the best of my knowledge) that I won’t mention. What I will say is it’s a very classic-feeling X-Men threat that just adds another layer to what’s sure to be an epic, 10-chapter saga. That secret antagonist, and several other surprises, are reasons why this is a spoiler-free review. Beyond Marvel’s official preview pages, I had no idea what to expect from this beast of a comic, and it made for a far more enjoyable reading experience. Avoid all spoiler news articles. I’m not saying there are internet-breaking twists in here, but it’s clear this comic is a labor of love for all parties involved, from the creative team to its editors like Jordan D. White. Take the journey, completely unspoiled. What I didn’t expect from this oversized comic was to breeze through it–and have so much fun. This shouldn’t come as a surprise to anybody who’s read Brisson, Rosenberg or Thompson’s previous work, but this comic is very funny–especially the insanity and confusion that follows Jamie anywhere he goes. 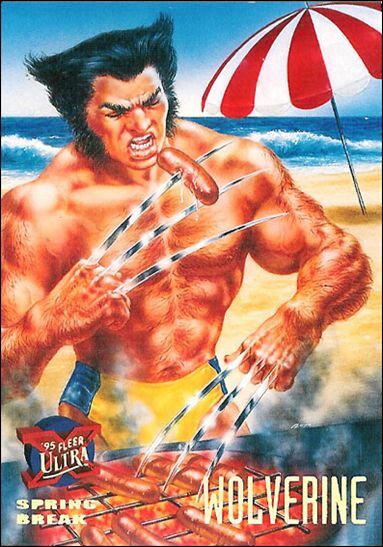 Iceman calls out X-23 for using her killer claws as forks, which totally brings back fond memories of that ’95 Fleer Ultra trading card with Wolverine on spring break grilling hot dogs on the beach (talk about hot claws!). Then, you’ve got the X-Kids complaining about having to fight Forearm. With this type of comedy, not only do the trio of writers remind us why this colorful cast is so beloved, but you have to assume they’ve made the same jokes so many X-Fans have through the years–because they’re fans themselves. On top of that, the writers never lose sight of the fact that the X-Men are a family. And an eXtremely dysfunctional one at that. Several times in these pages, you get a sense of how frustrated the X-Kids are that they’re still treated as second-stringers (a point with which many X-Fans surely agree). Despite the fact that this debut issue is heavy on action, the characters’ interactions shine throughout, from Bishop’s irritation with Jubilee to Betsy’s irritation with Warren (it’s X-Men, everyone’s always irritated). It’s these elements, combined with that classic cover logo that made me realize the X-Men are home again in the title where they belong. Of course, all of this wouldn’t be possible without Brisson, Rosenberg and Thompson, who somehow form an incredible Stepford Cuckoos-like hive mind or asked Jean to hook them up with a psychic rapport. At no point in this comic did I feel like the storytelling fluctuated in quality or changed voice without warning. It’s simply one, consistent voice (despite being three) and that’s just, well… uncanny. Helping tie it all together is the irresistible art from Asrar. The artist really made a name for himself in X-Men Red, perfectly bringing to life all the emotions in writer Tom Taylor’s scripts, which could bounce from comedy to tragedy in a single issue. Asrar’s skills make him the perfect choice to kick off “X-Men Disassembled,” whether we’re in Jean’s mind, the rain-soaked Kalahari Desert or Manhattan. Drawing an army of determined Multiple Men is no easy task, but Asrar makes it look effortless. Also, wait until you see his take on Psylocke’s all-new, all-different psychic weapons. Guess those ninja days are behind Betsy. The eXpert coloring by Rachelle Rosenberg adds the finishing touch that justifies this debut issue’s $7.99 cover price. While the lead story here is actually just 32 pages, there are four additional short stories that fill out the rest of the book. But fear not–these aren’t the usual filler stories typically found in Marvel anniversary issues. They’re written by the trio of writers and feature pencils from Mirko Colak, Ibraim Roberson and Mark Bagley. They also enhance the main story in different ways while, I’m assuming, set up subplots to come. They’re like those “Things to Come” teasers we’ve come to expect in debut X-issues, only they’re more than a pretty pin-up. If you’ve gotten this far, it’s clear I have a lot of positive things to say about Uncanny X-Men #1. But again, I’m a longtime X-Fan with very different eXpectations that a new reader, completely unfamiliar with the X-Men may not possess. It’s highly possible such readers may not be satisfied with how many characters are thrown their way (including some deep cuts in the latter stories), in addition to how many mysteries are introduced with no immediate resolution. I’m a lot more forgiving because setting up a 10-part epic is no easy task. Perhaps I’d be more frustrated if the wait between chapters was a month or more, but it’s not–readers know the next part is just a week away. The X-Men receive the uncanny homecoming they deserve from three of Marvel's most talented writers and A-list artists. The trio of talented writers must be commended for producing a single, entertaining voice. The gifted Mahmud Asrar reminds readers why he's worthy of relaunching the X-Men's flagship title. An epic titled "X-Men Disassembled" has no right being so much fun. Par for the course with the X-Men, the character interactions are the real attraction. New readers unfamiliar with the X-Men's rich history and characters may prefer something a little simpler for a jumping-on point. Readers searching for answers by this issue's end may be disappointed.